As I mentioned before, on friday I met up with W’s mum and we went clothes shopping*, and then toddled along to John Lewis’ because we both love that store. 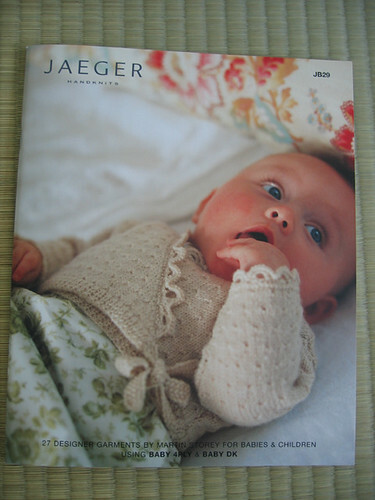 I bought the new Jaeger baby/toddler pattern booklet. It’s the first thing I’ve bought like that and thought, ‘you know what? 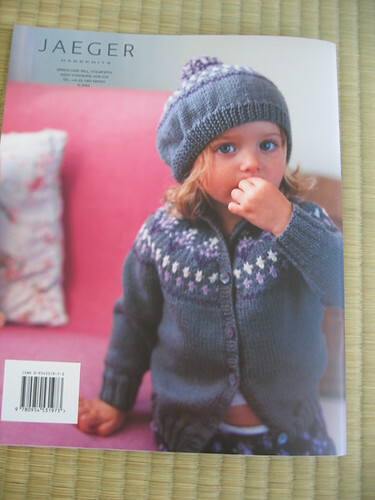 i’m buying this so that when we have kids I can knit them things.’ When I picked up all those ones from the second hand shop that was still pretty much about other people, but time passes and now look at me. 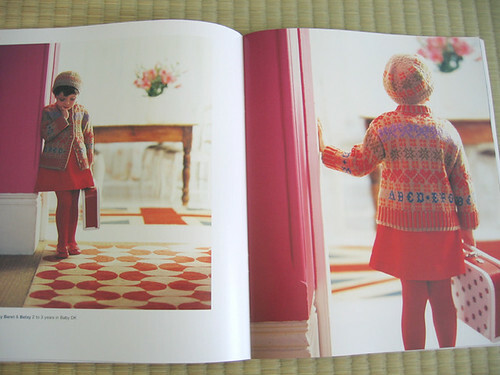 I would have bought the booklet even if this was the only good pattern in it. Maybe it’s the photo? Maybe it’s the cute baby? 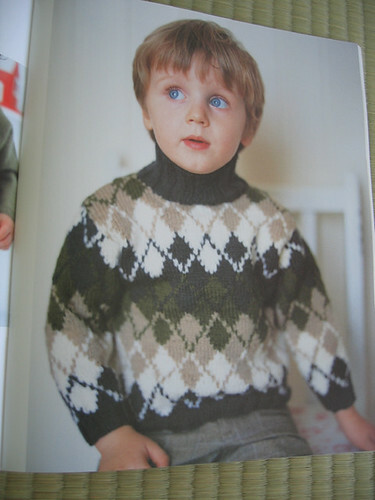 regardless I will end up knitting this at some point in the future. The cardigan is nice but i really just included this to show off the blanket more. I love it! I hate the colour way of this jumper, but argyle is fun to knit, and I’m sure there are alternate colour ways that wouldn’t make your eyes bleed. See, and now i just want to watch Amelie again. 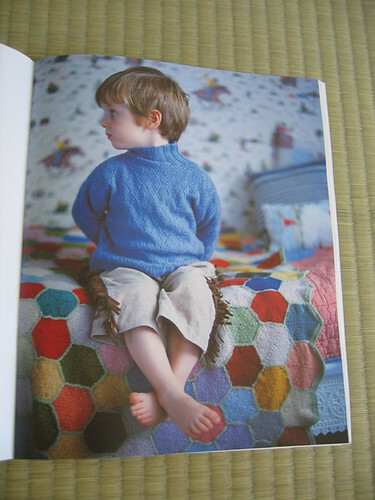 I have been wanting to knit a cardigan like that for myself for the past six months! The other very cool news from the trip, was that it was sock yarn handover day! W’s mum had been in the US a few weeks beforehand, and I’d asked her if she could pick up a couple of skeins of sock yarn, since there are lots of great brands that we have a really problem getting over here. I was utterly blown away! I mean I love B, because she’s lovely and has been nothing but kind and caring since I first met her. And then she showers me in sock yarn! The textured yarn at the far left is actually 100% wool, and will be made (probably – although she’s having second thoughts about it) into another pair of slippers, since she wore out the maya ones I made her for christmas. The bumblebee lorne’s laces (I own some lorne’s laces sockyarn!! *dances*) is going to be a pair of socks for W, and the pale yellow Gems yarn is going to be a thankyou pair of socks for B. She looks great in yellow. The rest i’m not sure about. I really want to knit the redish-brown handpainted yarn into some socks for me. maybe some jaywalkers? I just fell for the colourway as soon as i saw it. 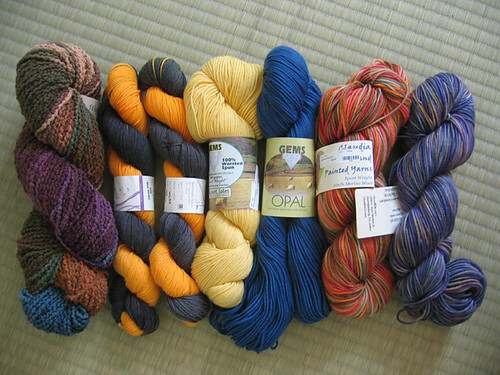 But the others I will save in the stash for a time when I really need to cheer myself up with some socks. *which went FAR better than expected, but i’m saving that for another post. is that the book with the lovely cherry-edged scarf? 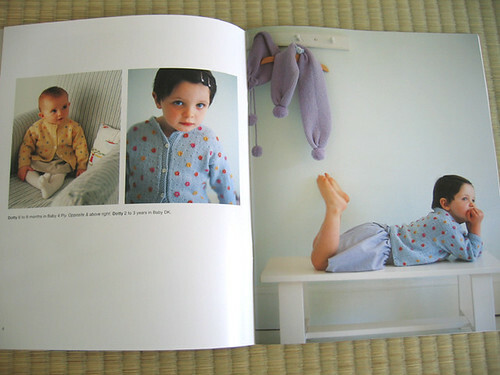 looks like you’ll have a lot of fun with this pattern book. 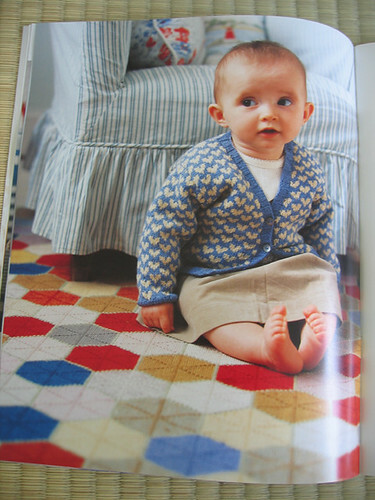 I almost bought the new Debblie Bliss Baby Cashmerino the other day, though I’m not thinking about kids yet, but the patterns are too cute (so cute in fact I wondered how they’d translate into an adult version). The blanket in the picture shouldn’t be hard to recreate. It reminds me of stained-glass windows.